The Balloonbed is a 100g Air Bed that packs away incredibly small. It was specifically designed for two-day running and biking events where you need to carry all your equipment to an overnight camp; events like the OMM, SLMM, LAMM, RAB, Mourne, Highlander and Polaris. As keen competitors ourselves, we know the benefit of lightweight space saving equipment. 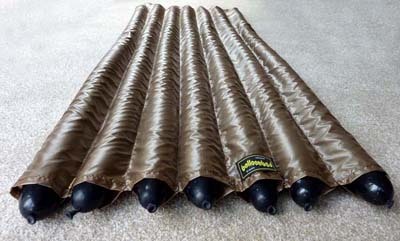 This mattress will make significant reductions in both the weight and bulk of your rucksack and out perform a standard piece of foam mat in terms of comfort and warmth. 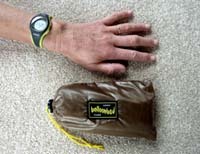 The Balloonbed packs away in a small stuff sack to about the size of a fist and weighs 100g.